“Featuring a post-film panel discussion with local experts, including Dr. Joseph Blankinship, UA Assistant Professor and soil biogeochemist; Moira Hough, PhD candidate in the UA Department of Ecology and Evolutionary Biology; Dr. Craig Rasmussen, UA Professor of Environmental Pedology. Special thanks to our community partners The University of Arizona Institute of the Environment, the University of Arizona Department of Soil, Water and Environmental Science, and the Flandrau Science Center and Planetarium. Alaska has been the source of myth and legend in the imagination of Americans for centuries, and what was once the last frontier of American expansion, has become the first frontier in climate change. Science on Screen pairs current, classic, cult and documentary film with lively introductions by notable figures from the world of science, technology or medicine, allowing audiences to experience the excitement of discovery while enjoying some enlightenment along with their popcorn! Dr. Joseph Blankinship, University of Arizona, College of Agriculture and Life Sciences. Dr. Blankinship is a soil biogeochemist and a new Assistant Professor in the Department of Soil, Water and Environmental Science. He is the Fellow for the USGS Powell Center Working Group on Soil Carbon Stabilization, an Action Group Leader for the International Soil Carbon Network, and building a research program focused on developing strategies for enhancing soil carbon storage and soil health in degraded arid ecosystems. Moira Hough, University of Arizona Department of Ecology & Evolutionary Biology. Moira Hough is a PhD Candidate in the Department of Ecology & Evolutionary Biology studying arctic ecosystems. 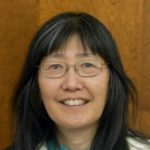 Her research focuses on understanding how changes in plant and microbial activity impact carbon storage and greenhouse gas release after permafrost thaw. She spent the last three summers working at a field station in northern Sweden and has previously studied sites in northern Siberia and southeastern Alaska. 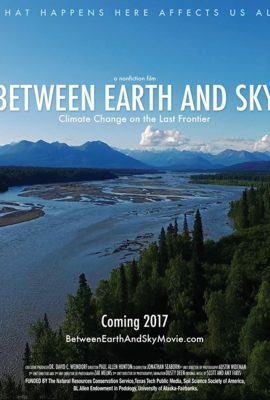 "Between Earthy & Sky: Climate Change on the Last Frontier"
Nothing wrong with more CO2 in the environment. If the alarmist projections are correct, forest and food crop growth rates will increase by over 20 per cent.